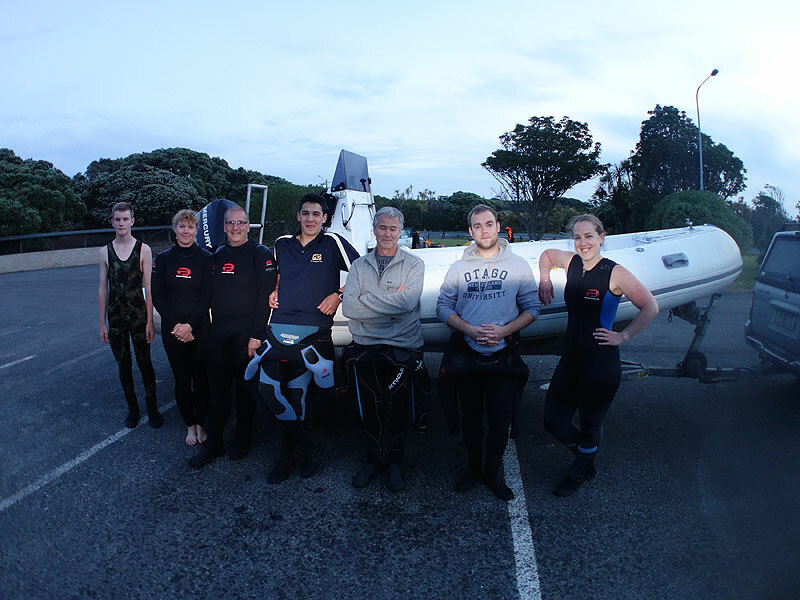 Six divers assembled at Army Bay for their first ever night dive. A calm night and full moon made the perfect setting as we headed out to Wellington Reef on boat. Congratulations to Nick, Mark, Jacob and Kate on completing the final dive of their PADI Advanced Open Water course. A big thanks to their instructor, Lachie, for taking great care of them. Nick, Andrea, Martin, Lachie, Mark, Jacob and Kate at Army Bay.